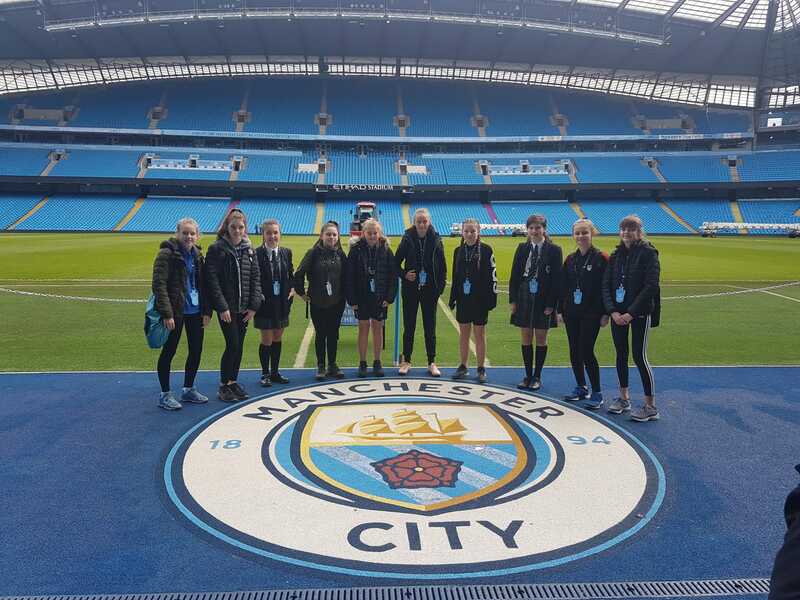 Sir Thomas Boteler Church of England High School » TCAT takes over MCFC! We arrived at Manchester City’s stadium, The Etihad and had a tour round the main stadium. It what was really interesting and we got to go in the men’s changing rooms. We had pictures with the men’s playing shirts that they would wear for a match. We had the opportunity to go pitch side and sit on the managers and substitute seats. It was amazing to feel and hear what the atmosphere would be like as a player and get a different perspective of the pitch. We also learnt about the different jobs and careers that we could do in sport other than being a professional player. These included being in the media, data analyst, physiotherapists, partnerships as well as finance. Next we went to see the ladies first team train and were given a special Manchester City Football to keep and a pen for them to sign the ball. To meet the players, including 6 internationals was amazing. My rolemodel Steph Houghton shook my hand and signed my football! We watched them train and had photos with the whole squad. Then to end the tour we were given a bag with a Manchester City water bottle, badge and a pop socket for our phone. It was a really interesting tour and great opportunity. I’m glad I was invited. This has inspired me to keep up the good work in football and push myself at school to reach my dreams.